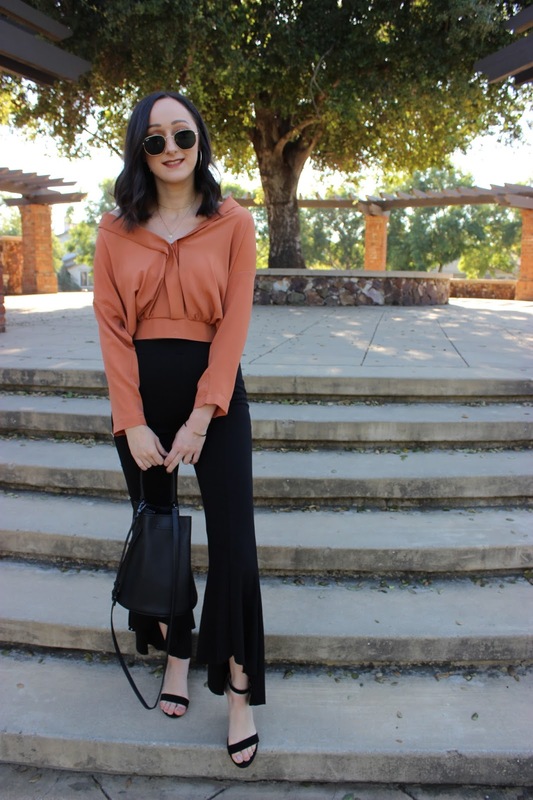 If there is something I love, it's a good flared pant. 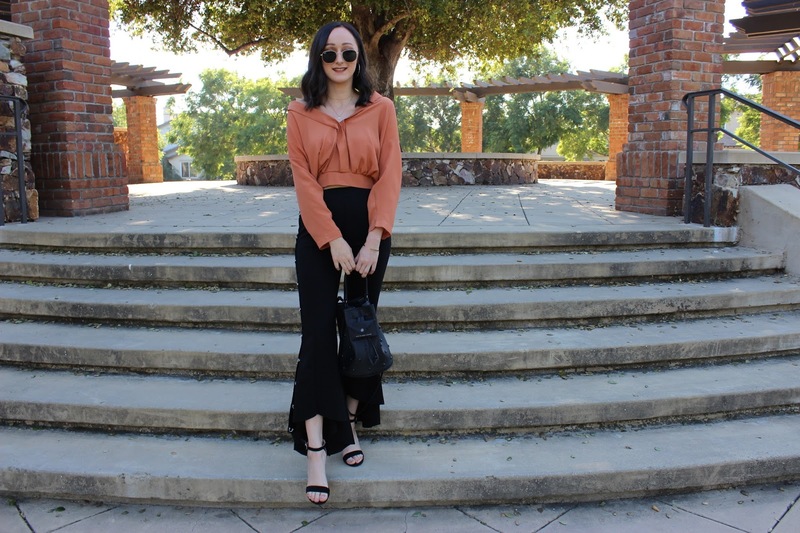 This style elongates the legs and is very flattering on all body types. These particular ones are from Zara and they were quite inexpensive for the quality and amount of precise detailing they have. They are made out of a comfortable, stretchy fabric and have a velvet stipe running along each leg. But my favorite part has got to be the rings along the side. They add the perfect touch! 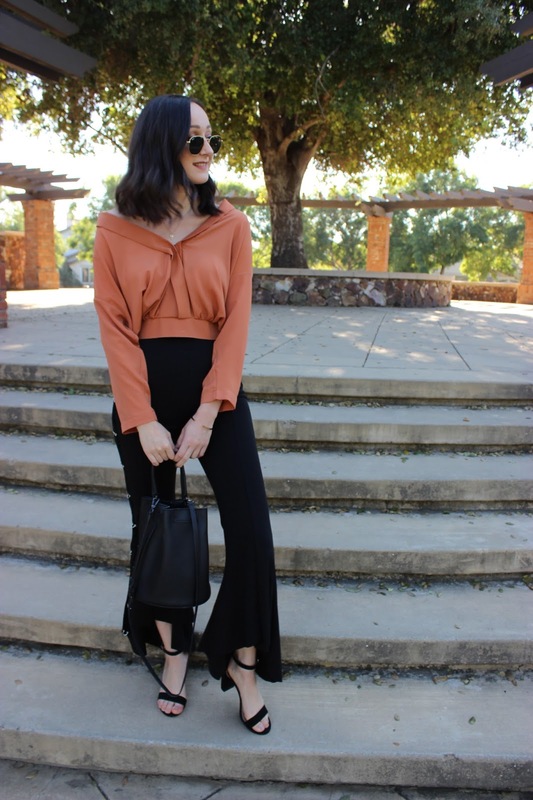 I paired these trendy trousers with a burnt orange blouse and black accessories. What's one trend you're loving this season? Let me know on my latest Instagram post!